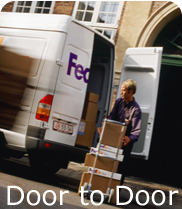 If you send parcels throughout the UK by a Courier company we could save you time and money. To see if you qualify for the preferential rates on offer, please answer the below questions. We will then look at matching all your shipping needs. If you do not wish to fill out the form then you can give us a call on the freephone number 0800 0937 980 or download the word document from the icon to the left, fill it in and email it us back. How many parcels / items do you send by Courier throughout the UK? What % of your parcels, are put on the following services? What is your monthly spend on the above shipments? In order of priority 1-4 what do you look for in a Courier? If there is, one thing you could change about your current carrier what would it be?